A 20-year-old Hartford man is dead after being shot in the abdomen in Hartford on Monday evening, according to police. Julius Rivera is the victim of the city's sixth homicide of 2015. 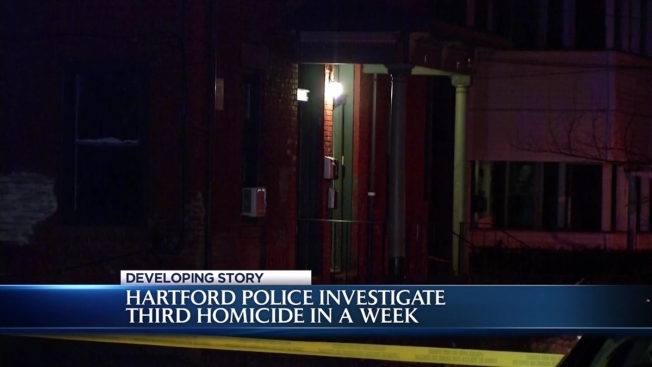 It was the third killing in Hartford in a week's time. Police said Rivera was shot in an apartment at 17 Benton Street just after 6 p.m. Monday. He was alert and conscious at the scene and was taken to Hartford Hospital for treatment of what police originally thought to be non-life threatening injuries, but he took a turn for the worse and died at Hartford Hospital. "It's just tragic that it unfolded in this manner," Hartford police spokesman Deputy Chief Brian Foley said. "It's shocking to us, families, victims and the neighborhood." Police said they talked to Rivera before he died but haven't revealed the information he disclosed. "Dying declarations carry a lot of weight in any investigation," said Foley. This was the third homicide in a week. A woman was shot and killed on Congress Street last Tuesday, and two days later, police found a man shot in the head on Blue Hills Avenue. "I've said it before and I'll say it again. One homicide is concerning and extremely upsetting. So when you group three together, obviously it's something we're really concerned with," said Foley. Hartford police Major Crimes detectives, Crime Scene investigators and Shooting Task Force members are investigating. Police have not yet identified any possible suspects.